In the early 20th century, a Gorgon takes human form and terrorizes a small European village by turning its citizens to stone. Terence Fisher’s 1964 Hammer movie entry, “The Gorgon,” marks a bit of a change of pace or perhaps a change of material for both the talented director and the studio. Granted, “The Gorgon” has all of the common trademarks that makes it clearly a recognizable Hammer movie, like incredibly detailed sets, beautiful colors, wonderful costumes and appealing locales. Fisher’s movie, though, differs in tone and mood and is not based on any recognizable monsters like a vampire, werewolf or even a mummy. This movie’s antagonist is based on a Greek mythological beast. A “Gorgon.” Another element, and it is to Fisher’s strength, which is not so common is the gothic romance and tragic love story beneath the story in this entry. 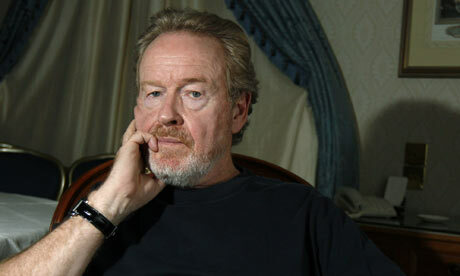 Fisher, as he always does, paints a beautiful picture rich with subtext, fear and desperation. It is a film about loss, love regained and then again, more loss. Fisher goes full circle here and he makes us really feel and care for his characters perhaps more than any other of his films. Indeed some cutting corners were to be had and the film does not have the biggest and best production values but it is not an un-forgiveable thing. We roll with the punches and enjoy Fisher’s ride. 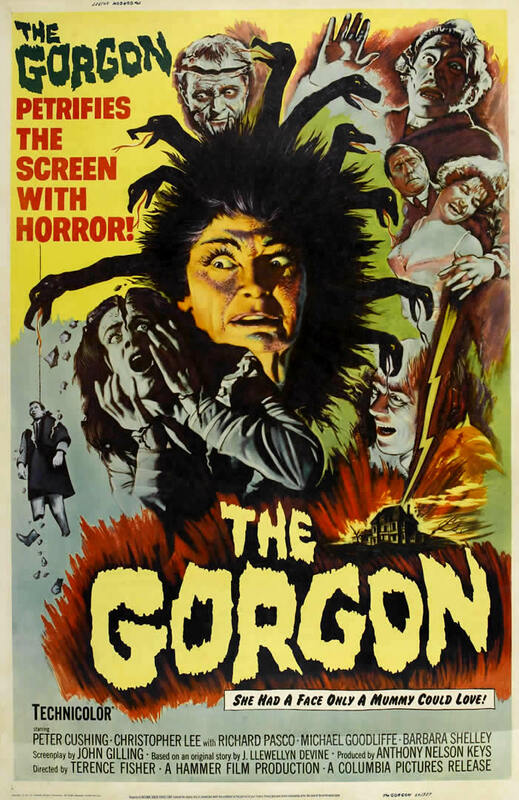 “The Gorgon,” obviously is a Hammer movie and yes, there is a beast among the villagers. It happens to be holed up in the village of Vandorff in either Austria or Germany. There is a legend, or history of evil things happening according to the lore. Castle Borski is the place where the evil reaches out from to encompass the scared villagers. Tales of a malevolent monster that appears every full moon to transform the villagers to stone simply by gazing into their frightful eyes. John Gilling (The Plague of the Zombies) penned the screenplay for Fisher and based it on the myth of the 3 Gorgons of Greek myth. In the film there is one of the 3 Gorgons (In myth they are Medusa, Stheno, and Euryale. 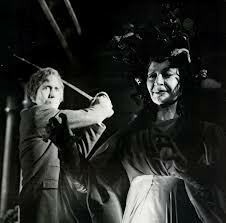 Magaera, from Fisher’s film is actually one of the Furies) lurking and killing off men and women in Vandorff. The first, in the movie, being a young pregnant girl who has her artist lover storm off to confront her father. After she is turned to stone by Magaera, the poor estranged artist kills himself prompting an investigation. The artist’s father, Prof. Heitz (Michael Goodliffe from A Night to Remember) fears that there is something more dangerous out hunting villagers after the town lays blame on the young girl’s death on his deceased artist son. Hammer mainstay and the ever uber cool Peter Cushing plays Prof. Namaroff, who is the renowned local doctor at the village’s Medical University. 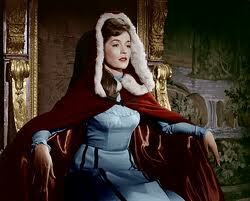 The beautiful and talented Barbara Shelley (Dracula: Prince of Darkness ) plays Carla his nurse and personal assistant. They become embroiled in the mysterious happenings when the young girl, petrified into stone, is taken to Namaroff. After Prof. Heitz, himself, is attacked while investigating the legend at Borski castle, he rushes home to write a letter to his son, Paul. 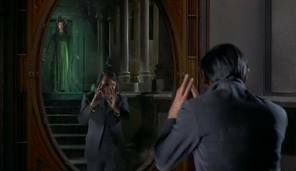 Heitz slowly turns to stone and Paul, with the insistence of his mentor Prof. Meister (Christopher Lee), goes to Vandorff to investigate his father’s demise. Fisher and Gilling flesh out the characters well in “The Gorgon.” Probably the most interesting is how Cushing’s Namaroff fares in this movie. 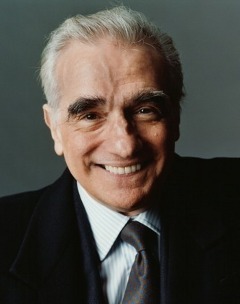 He is not completely likeable in this film. He is stoic, yes, but also detached, aloof and methodical. He is also quite a control freak especially when it comes to Carla, who has a stern personality herself. She is not without her soft and sensual side. She just does not respond to Namaroff’s advances and meticulous controlling nature. When Paul reaches Vandorff and seeks out Namaroff for his help, Namaroff shuns him and dismisses his theories of a killer, of a mythical nature, outright. Paul suspects than Namaroff may be hiding something or protecting some strange and dark secret. In typical Fisher fashion we do get the wonderfully dynamic interactions in this movie. There are some engaging scenes between Carla and Paul as she wishes to help him but feels a misguided loyalty to Namaroff who is none too keen about Carla helping Paul in his investigation. Things get more dangerous and intense as Paul digs deeper into the mystery and is himself attacked by the Gorgon sister, Magaera, who we see in reflections and shadow which helps Fisher’s movie become a dark fable. “The Gorgon” is a very dark movie indeed with blues, grays and blacks injected into every mysterious scene. 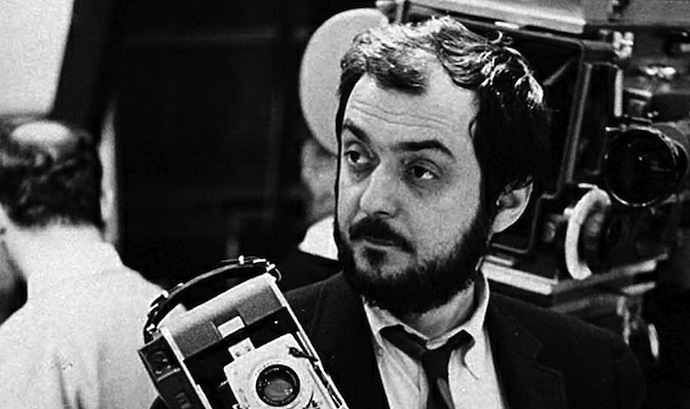 There are no daylight scenes to speak of and every shot is bare, dim and lit with inky and tenebrous intensity. Once terrifying scene involves Paul and a pool of water where the Gorgon slowly makes her appearance. Just really effective and spooky. Afterwards, Carla helps Paul heal and his mentor, Prof. Meister, comes to help his student. Lee here is fantastic as the bitter intellectual who cannot stomach fools and imbeciles like the Inspector Kanof, played by the stalwart Patrick Troughton (The Omen 76). Lee goes around wearing a bad gray wig and commanding and ordering and reprimanding in a very refreshing role that he seems to relish playing. Meister in some scenes is a bit of a comedic element but he is very astute and follows through on the very suspicions we, the audience, have towards Namaroff and Carla. Meister is actually the one who connects, Carla, her arrival in Vandorff, Namaroff and the cyclical attacks by The Gorgon all with Kanof’s help. What is Namaroff hiding? Why does Carla appear to want to leave Vandorff suddenly with Paul but shuns him when he needs to stay to solve the mystery? Why does Carla have a prior medical condition hidden? Is The Gorgon real or just a villager who is taking on the guise of a monster in order to control the town with fear? 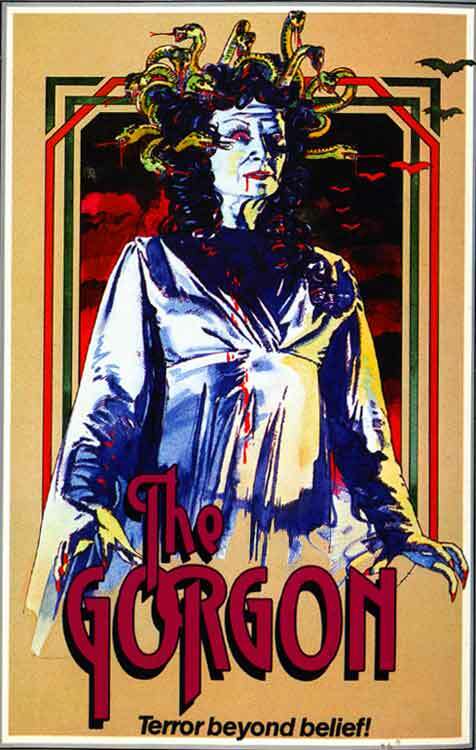 Fisher’s “The Gorgon” is not a Hammer film that usually comes up when fans debate the best entries. That is usually an honor left for, say, The Mummy, Horror of Dracula, Curse of Frankenstein or my favorite, Brides of Dracula (Which does not have Dracula in it). But when fans discover or re-visit “The Gorgon” they learn to appreciate it’s gothic romanticism and elegant terror. Cushing, by the film’s end (once we find out his intentions) becomes a tragic figure we learn to relate too if not entirely cheer for. We learn that Carla and Paul are the center of this material and Gilling wraps it all up with a great surprise that may have some viewers gasping with it’s horrific conclusion. 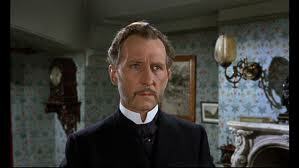 Cushing as always evolves in these movies and by this film’s end he is passionate but has a sad and stygian soul. Lee and Richard Pasco are great in their scenes as well with Pasco reaching a wide eyed fever pitch when he finds out he must confront not only Namaroff but The Gorgon herself. Shelley is strong and very mysterious. I always liked that she emotes with her eyes and slight bodily reserve. Here she flexes those romantic but obscured acting muscles and turns in a very dynamic performance. DP Michael Reed (On Her Majesty’s Secret Service) like I mentioned before, shot the film economically but with a finesse and mood that rivals the work of other Hammer DP’s like Jack Asher and Arthur Grant. James Bernard here delivers a simple yet somber piece that evokes heart and deep complexity. Something he did similarly with his score to “The Devil Rides Out.” “The Gorgon” looks good, has great sets (cemeteries with vines, dark woods, webbed up castles) and has some well places scares but is never over the top or loud. “The Gorgon” herself is a horrible apparition with snakes and a red eyed glare that is simply shocking and rendered completely with fear and murkiness. Her visage has to be terrible to those who gaze upon her and Fisher makes sure that his leading lady or should I say leading “Gorgon” looks the part. “The Gorgon” oozes classy dread, entertaining performances, fear and lore that is still pretty interesting when wonderfully steeped in classic Hammer film conventions. Highly recommended! Next From Parlor Of Horror: 5 Horror Films I Love…But Most People Hate! I finally bought the dvd of this last year (and The Reptie) as I work to complete my Hammer Horror collection. 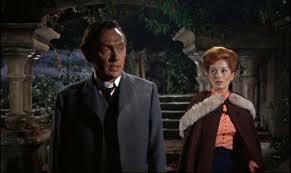 Excellent film that is often lost in the shadows of the Hammer Dracula films. The Reptile is another decent entry from Hammer. I may review that one next. I was eyeing the dvd just last night. Also, keep adding to that Hammer collection! Thanks for dropping in and checking out the review, Michael. Always appreciated, buddy! Great review, Vic! 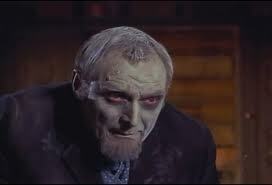 Ashamed to say I’ve only seen one Hammer film (Quatermass 2, which I loved) so definitely need to check some more out. The stylistics and atmospherics in this sound incredible, so I’ll definitey hunt this one down. Hi Jim! Yeah, do yourself a favor and check this one out. If you need some titles to get started on check out my Hammer reviews. See if that may help. Q2 is a very cool flick, by the way. I used to pass on it so many times when it aired on TV and when I finally go around to watching it, I was hooked! Let me know once you get around to some other Hammer classics, Jim. Thanks for stopping in. Much appreciated, buddy! Terrific film! 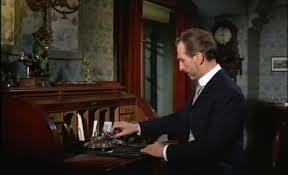 with the fantastic Peter Cushing! Terence Fisher was a god of horror – great piece! really loved reading that! I’m very glad you enjoyed, Beth! It was a blast to write. 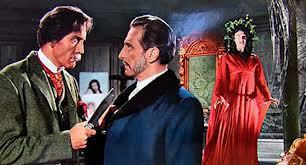 Especially, since I’m biased and already adore those great Hammer films, even the more overlooked or obscure titles. I’m already looking to do my next Hammer review since they are so much fun. Thank you for stopping by. I appreciate it! Excellent post, I’m trying to watch more old horror movies, So I’ll have to add this to my watchlist. You won’t be disappointed! I’m glad you enjoyed the post. Let me know your thoughts after you check out The Gorgon. Hammer films are a great way to catch up on older horror titles. They have quite a few good movies to choose from. Thanks for stopping by! All of these are must-see, Ruth. Hammer did make some non- monster films in the 50’s and even a couple of noir pics, too. Thanks for stopping by, Ruth. I always appreciate you checking in! I first saw this on AMC around Halloween like 15 years and liked it right away. Great atmosphere and a good take on a classic mythological character. It is indeed a unique take for sure. Especially the fact that a Greek mythological deity can possess someone. Fisher really outdid himself with Gilling’s material. Thanks for stopping by! Great review, Vic, and I agree with your assessment of THE GORGON. It’s a low-key film and its best scenes achieve an eerie, other-worldly quality, such as when Bruno’s father enters Castle Borski–a withered collection of stones, its floors covered with pigeons and dead leaves that swirl as the whistling wind cuts through the structure. That scene with Prof. Heitz at the castle is brilliant. Very chilling and the way it was lit was amazing. It appears that many of the more obscure titles from Hammer are starting to get their due. I’m glad you enjoyed the review and thanks for stopping by and the kind words!